Airshow Tours escorted from New Zealand. Our fascinating journeys are a MUST for those passionate about aviation! Share in our excitement as we take you to some of the most amazing air shows & events. 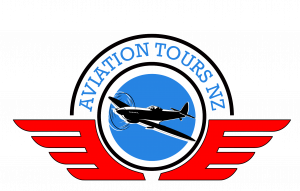 New for 2019 will be two Australian tours, at the request of our guests, including Avalon and Wings over the Outback. 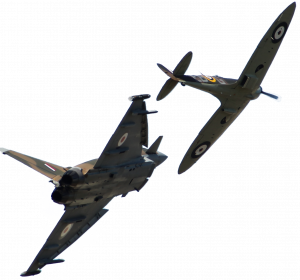 Our trip to the Uk will this year is Battle of Britain & D-Day and will include “Flying Legends” at Duxford, the Royal International Air Tattoo at RAF Fairford and the amazing War & Peace Revival. There are also plenty of museums to delight aviation enthusiasts, and we have made sure there is lots of interesting leisure time and alternatives for those who would rather see more sights. With a husband & wife team escorting the tours, we keep everyone happy! Why choose a group tour? You can relax knowing that everything is organized for you, and there is nothing better than reflecting on your day with a group of likeminded people, sharing your stories and experiences. The moment you were moved to tears by the sound of 12 Spitfires taking off or the personal accounts of those who gave their lives for us. We’d love you to join us so call soon on 07 578 8759 or 021 076 8308, email melanie(at)travelmanagers.co.nz now for more info or see the links below. Make it the year you do what you've always wanted to, with our help. Be part of the D-Day activities. Please register above for our newsletter if you would like to hear about future tours or receive our monthly updates. Irene and I thank you for a great aviation tour – the fabulous air shows, museums and other places of interest visited. The accommodation was excellent and we formed some lovely friendships with others on the tour. Mel, your organizational skills are second to none and your friendly, caring manner delightful. Good friends of ours had joined your tour in 2013 and were so enthusiastic we decided to join your ‘Bomber County 2014’. It lived up to every expectation and we happily recommend any like-minded enthusiasts to join future aviation tours. With sincere thanks and best wishes. As a 62 year old who hasn’t been further than Australia before this trip, at first appeared daunting. I wanted to do it but it was clearly well outside my comfort zone. I shouldn’t have worried because Melanie and Kev made this a magical trip, organising everything for us, nothing was a trouble. The camaraderie we as a group established made every day a moment to remember and cherish forever. Fly away to the outback and experience first hand how vital aviation is to remote Australia. Visit the birthplace of Qantas, fly into Wings over Illawarra airshow, meet bush pilots, aircraft restorers and in some instances, walk through their private hangars. Enjoy an escorted tour through “Hellfire Corner” Kent and Norfolk and explore the Normandy Beaches.